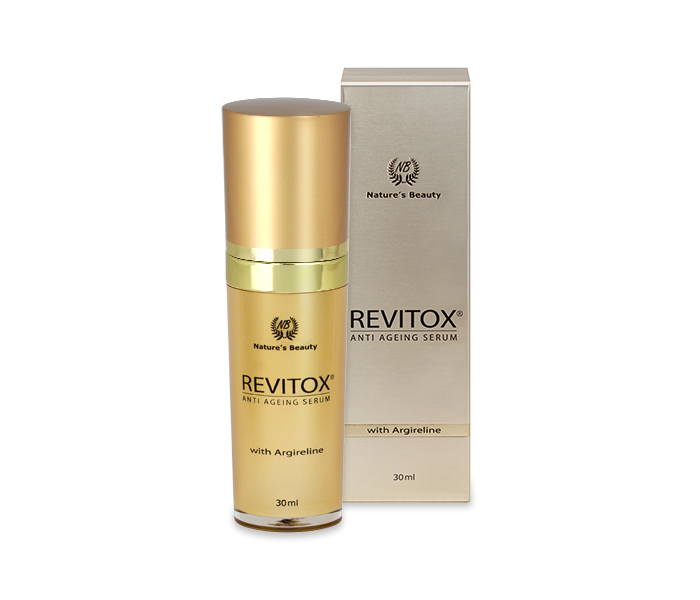 Fight the signs of ageing with the power of science using the latest innovations in anti-ageing with our REVITOX Anti-Ageing serum. 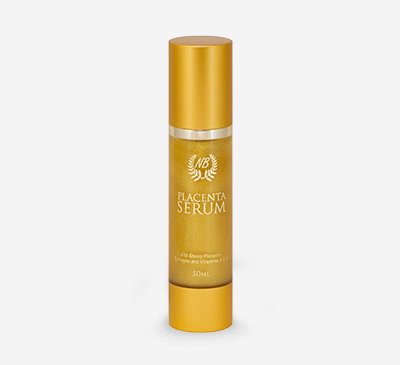 Specifically formulated to provide the ultimate cosmetic treatment for minimising and preventing facial wrinkles without the need for expensive treatments, this intensive anti-ageing serum boasts the pairing Argireline and Antarctacine to provide effective results. A protein derived from Amino Acids, Argireline works with the skin to reduce the force that facial muscles contract with, thereby promoting wrinkle reduction and reducing cellular damage. This wonder ingredient is combined with the regenerating effects of Antarctacine, a beneficial ingredient found to help the skin retain water, increase collagen and elastin, and aid in tissue regeneration to promote skin healing and reduce the depth of wrinkles, especially on the forehead and around the eyes. 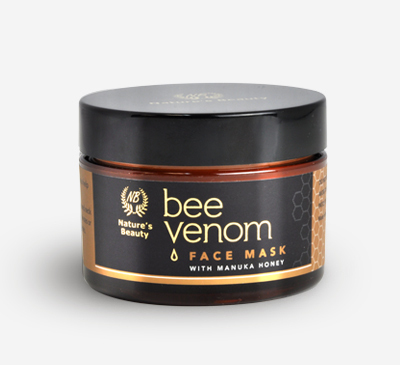 Further enhanced with the hydrating effects of Allantoin, a ‘miracle ingredient’ found to help stimulate skin healing and strengthen skin tissue, this concentrated formula absorbs quickly into the skin to help relax the facial muscles and accelerate cell growth to restore volume to the skin, promoting smoother, healthier looking skin with a radiant glow. Use clean finger tips to dab small amounts to cleansed and slightly moist face, then use short but firm strokes to apply serum to the face and forehead. 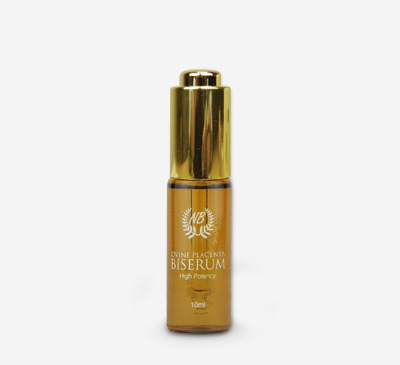 Allow serum to fully absorb before applying moisturiser, gently tapping the skin can help encourage deeper absorption. Argireline is derived from natural proteins and contains the active ingredient acetyl hexapeptide-8, a deep penetrating amino peptide that helps relax the intensity and frequency of facial muscle contractions. Argireline thought as an alternative to Botulism Toxin, topically targeting the same wrinkle-formation mechanism in a different way. Antarcticine are proteins from the Antarctic sea that helps the skin retain moisture, increases collagen and elastin levels, stimulates cellular growth for a great skin regenerating effect and enhanced wound healing. Allantoin is dubbed the ‘miracle product’ and has been proven to moisturise while stimulating the regeneration of skin cells, promoting skin healing from wounds, bruising, and environmental factors, while also reducing wrinkles, irritation, and red skin to promote smooth and healthy skin. 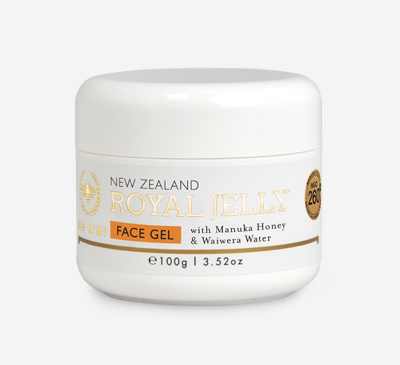 Clinical tests have proven these ingredients when used regularly can significantly decrease the depth of existing wrinkles and prevent the formation of new wrinkles on the forehead and around the eyes in quick time. Aqua (Water), Glycerine, Acetyl Hexapeptide-8 (and) Caprylyl Glycol (Argireline), Nonoxynol-15, Pseudoalteromonas Ferment Extract & Caprylyl Glycol (Antarcticine), Polysorbate 20, Triethanolamine, Acrylates C10-C30 Alkyl Acrylates Crosspolymer, Hydrolysed Collagen, Phenoxyethanol, Methyl Paraben, Ethyl Paraben, Propyl Paraben, Butyl Paraben, Retinyl Palmitate (Vitamin A), Tocopherol Acetate (Vitamin E), Diazolidinyl Urea, Fragrance.